Look, everybody! 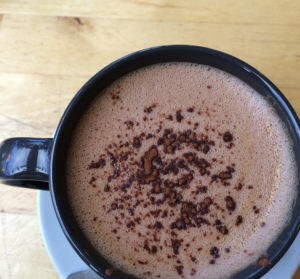 It’s a blog post…it’s an actual blog post! If you listened to the last episode you will know that the last few months have seen a lot of personal upheaval. That hasn’t meant that the world of KB has stopped – I recorded for two special episodes and there was yarn to tell you about too. Sadly moving house was not conducive to yarn reviewing, but our wondrous woolly muckers were keen to assist again. I am very grateful. 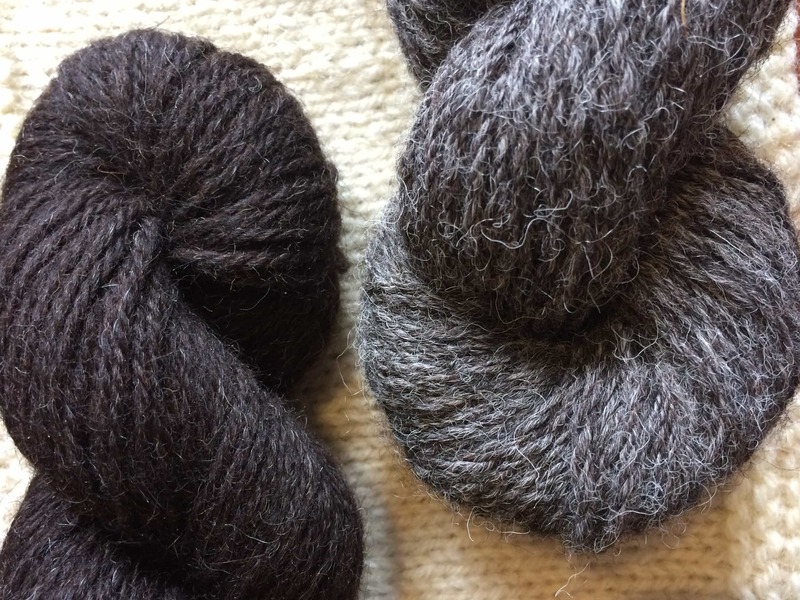 It was really lovely to get an email from Claire, from The Fibre Co , who wanted to tell me all about their new yarn, Lore and she offered a skein for woolly mucker road testing! To be very honest, I had not seen any The Fibre Co yarn up close before and so it was great to hear a little more about the company, which has it roots in the US – founded by Daphne Marinopoulos, in 2003 – but is now firmly established as a UK company. Started in Portland, Maine, The Fibre Co was borne out of a wish to create the kinds of yarns Daphne just couldn’t find in her LYS. Starting a mini-mill and travelling to farms for home-grown fleece saw that wish became a reality and the company began producing beautiful natural and hand-dyed yarns. Flash forward to just a few years ago and The Fibre Co moved HQ to the UK. They have a wonderful range of yarns and the emphasis is always on what different fibres can do and how they can make exceptional yarns through different combinations and spinning processes: The yarn range includes Acadia, Arranmore, Canopy, Cumbria, Knightsbridge, Luma, Terra, Meadow, Road to China, Tundra…and now the newest member of their family, LORE! Processed in a mill West Yorkshire, famous for its textile history, Lore is made of 100% lambswool from the Romney breed. 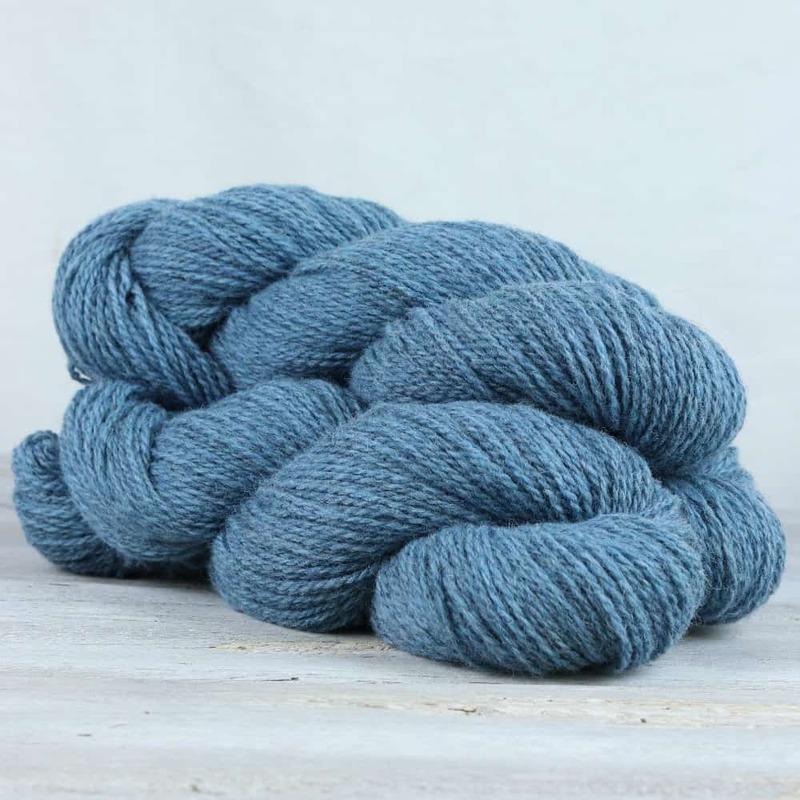 It is a woollen spun DK weight yarn and there are an incredible pallet of colours – softly heathered and making a beautiful gentle tweedy textured effect. This post is timely, as 6 new shades are being released on Monday. There are a range of designs too, The Borrowdale Collection, but more on that later! When this skein of yarn landed on my doorstep, I did make a little “oooh” sound! 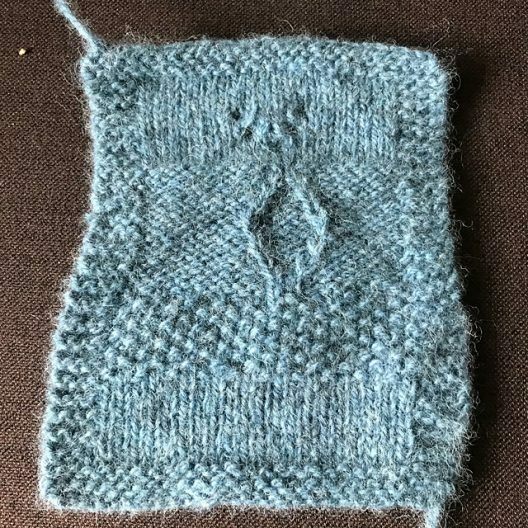 Podcast listeners will remember that we recently looked at Romney during our Wool Exploration earlier this year and it was a firm favourite. 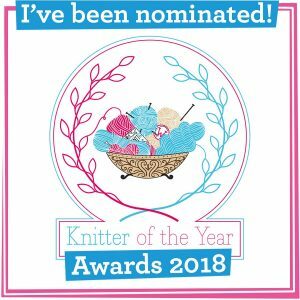 I went back to some of our wool explorers and asked if anyone would like to try a new Romney breed yarn to see how it stands up to our swatch road-test. New readers may not be aware of our swatch road-test, but we don’t just squish yarn around these here parts – OH NO! We wash, block and wear our swatches at least two times to give a bigger picture of the fabric and to give us a broader look to what the longevity of the yarn may be. The wool looked “woolly” in the hank with a few hairs. It was softer to the touch than it looked. It appeared a loosely plied 2 ply. Held under the chin and generally around my face, the wool was soft and did not feel uncomfortable at all. I chose to use 4 mm wooden needles and the wool slipped nicely along during knitting. It did not split at all. I decided to put the wool through its paces so I tried out numerous stitch styles. 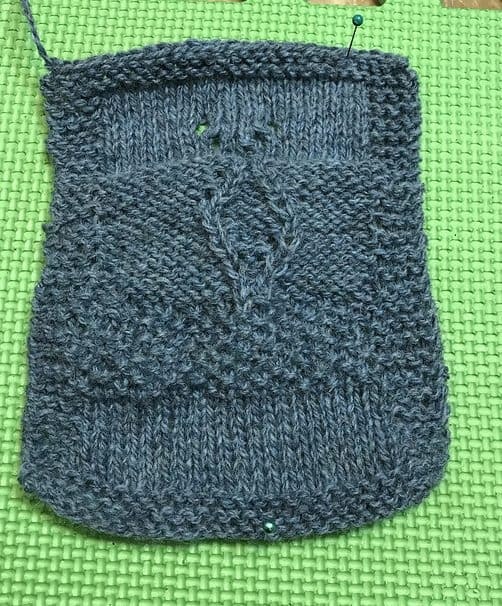 First tried out a fancy stitch (Fish scale lace), followed by a couple of cables, a simple mesh and then stockinette and garter. A nice easy-going yarn, which flows easily. The colour is matte, no shine or lustre and no discernible variations in colour. The yarn is on the heavy side of DK – thicker than the Aylesford Flock DK I recently tried. It’s nice and woolly it feels more like a Shetland than anything else. This would be great for colour-work, as it is nice and grippy. It feels like a wool for making a practical wearable winter jumper. The finished swatch has a vintage feel, looks slightly felted but holds the lace well. Laid flat in luke warm water for about 2 hours (I forgot it was in the sink!). It stood up to a very aggressive blocking and blocked well. Initially I thought cables would not suit the wool because it was loosely plied and rather hairy, but I think they came out rather well, though not plump because of the aggressive block. The mesh really opened up and the garter remained “bumpy”. The resultant fabric is very drapey. The fabric has flattened and the hairs are more pronounced. It doesn’t look soft but it really is. Perhaps 3.5mm could be used for a tighter finish. I wore it under my bra strap during the heatwave and I could feel it there because of its size but it was not scratchy at all. 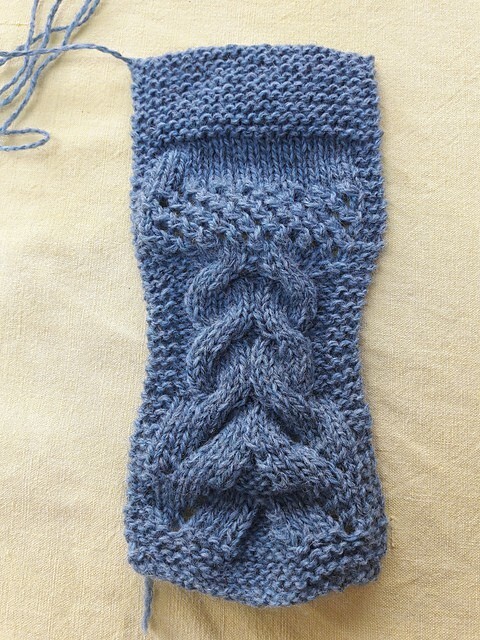 Before blocking, the swatch measured 20 stitches to 11.5 cm in stocking stitch. For the first test I put the swatch in a cold water and Soak then pinned dry. Wore it under my bra for the whole day (one of the hottest), and while I noticed it at first, I soon forgot all about it. After blocking it was 20 stitches to 11.75 cm. Finished swatch size was approx 8 inches square. For the first wash test I soaked in Soak liquid and lukewarm water for 2 hours. moderate rubbing and squeezing. I dried it flat and reshaped. For the first wear it was worn in waistband for a whole day and did not notice it. After wearing the swatch has flattened a bit, but it feels warm and woolly, yet still quite light. Definitely wearable as a jumper. Left in a sink full of warm water for an hour and then I committed the cardinal sin and scrubbed it together several times followed by wringing it out. I then put it outside to dry. The fabric retained its initial block but had become more fuzzy. There did not appear to be any shrinkage. It was sill soft in wearing but again because of the size of the swatch I knew it was there. Second wash was cold water, Soak, and hand agitation. There was no change in size and it held its shape. Wore it again for a day with the same experience. Soaked overnight in Soak liquid – gave a vigorous rubbing. dried flat and reshaped. second wear – inside bra strap all day. some prickle at times and then mostly forgotten. Some people may find this itchy next to the skin so probably best for jumpers with a t shirt under. This time I threw it in the washer on a “delicate” cycle (we don’t have a “wool” setting) with cold water. As you can see it fulled slightly and the cable section pulled in. I did a third test with mixed load in washing machine on wool wash 30 degrees with 800rpm spin. ecover washing liquid The swatch has felted a little bit more but not shrunk. This is lovely woolly wool which when washed becomes quite fuzzy. It looks like it will be capable of standing up to some quite tough wear. It certainly holds an aggressive block. I would not hesitate to knit a garment out of this. 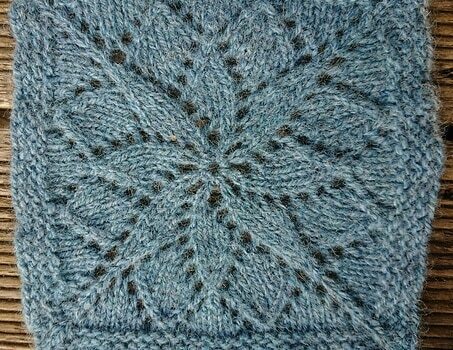 I enjoyed knitting with this wool very much and I particularly liked the cables after a block. I liked this, though if I was doing a full project I would want to think carefully about needles size and tip. It would make lovely garments and accessories and I think I could manage it next to the skin without problems. Nice and soft and I still think this would make a nice vintage jumper. I’m so grateful to our intrepid reviewers for taking their reviews to this level of road-testing! It is definitely a fair assessment that Lore is going to make sweaters and accessories which will be hardwearing and nice next to the skin (for those who can wear wool next to their skin). The clever thing to do now would to go pattern searching now, wouldn’t it? Well, I did mention that The Fibre Co has released designs in Lore and these are by some incredible designers, like Kari-Helene Rane, Emma Wright, Sarah Hatton and Kirsten Bedigan. The Borrowdale Collection features 21 single patterns and they all really speak to an aesthetic of Autumn, landscape and warmth. The items are real every-day go-to garments and there is that edge of vintage with the pieces, as well as contemporary flash! 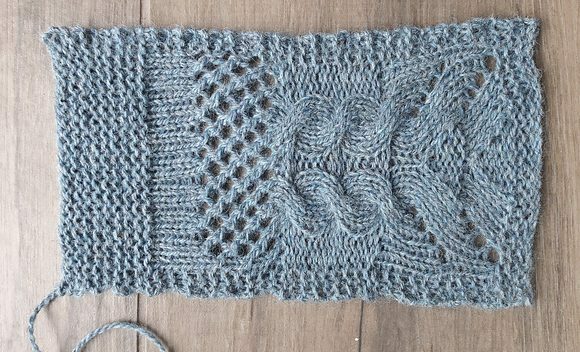 The sweaters all need to get on my needles, particularly the cardigans – Sarah Hatton’s Greenup Gill and Annie Lupton’s Hovera. These beautifully show how great Lore knits in colour work and with added textured stitches. Brandelow sweater and Honister shawl. You can find out more information about the collection at www.thefibreco.com and the patterns are available on Ravelry. Thanks so much to Clare and Daphne for sending the yarn and to Liz, Delyse and Nora for reviewing it so brilliantly. 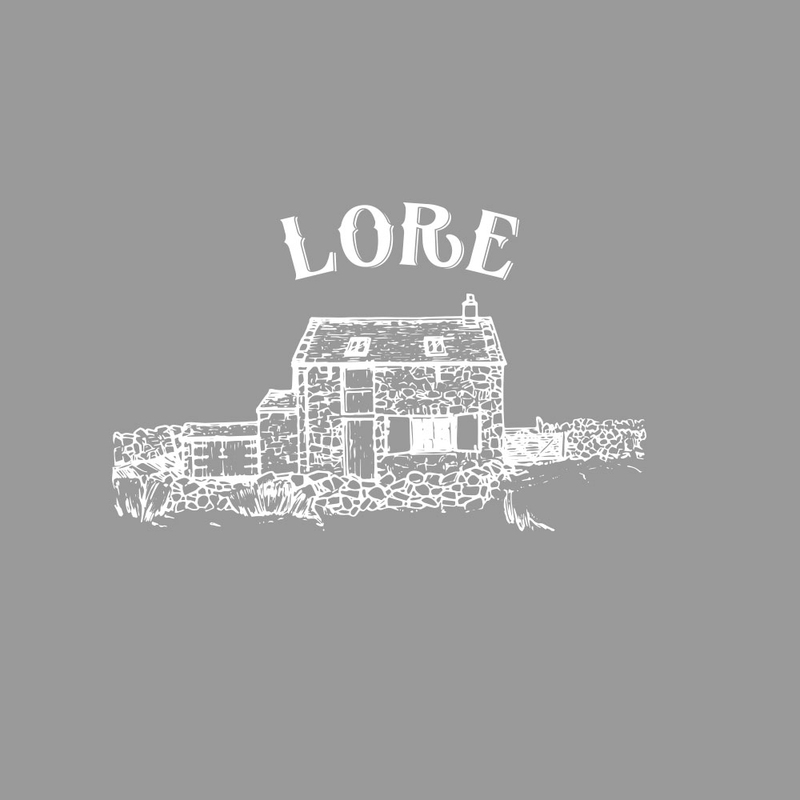 Have you already tried Lore? Tempted? Share your WIPs and FOs on social media and tag The Fibre Co so they can see your awesome makes. 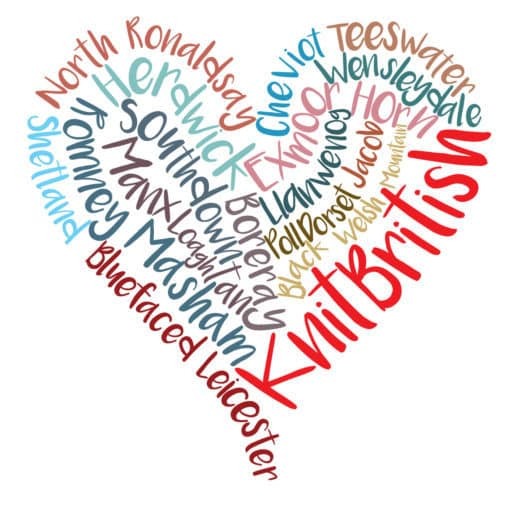 There is a thread in the KnitBritish Ravelry group where you can sign up to try out yarn and review for the blog. I should say that I aim to do a few less reviews in 2019, but we get such good feedback on this format and from the reviews from our KB community that I am definitely keeping this going. All the details are in that group page. Previous PostEpisode 109 – A very quick catch up!